I was really looking forward to playing Uncharted 3: Drake's Deception. While I loved the original Uncharted, I did agree with some people that it felt a little repetitive, especially towards the end. With Uncharted 2, though, Naughty Dog pulled out all the stops and got everything right. For me, the game was the perfect experience from beginning to end. Apparently, most of the other Destructoid editors agreed, as the game went on to take home our Game of the Year award in 2009. But how do you top something that superb? 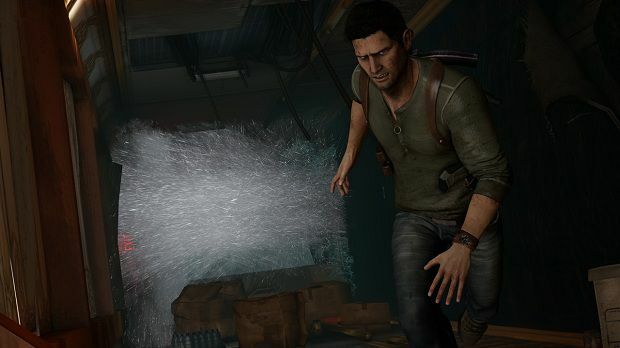 Could Naughty Dog actually deliver a new sequel that is even better than Uncharted 2? Or is Uncharted 3 cursed to always live in the shadow of its beloved predecessor? 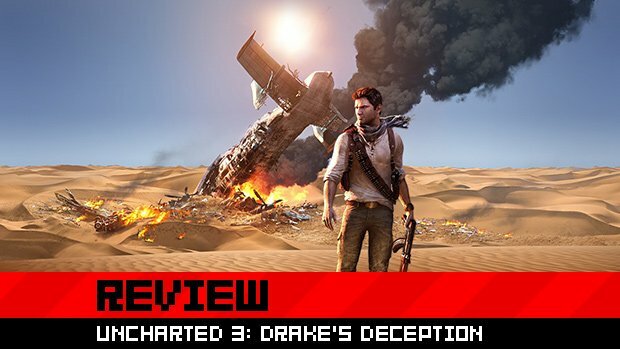 Uncharted 3: Drake's Deception once again follows the adventures of Nathan Drake, as he hops around the world on a quest for magnificent treasures. 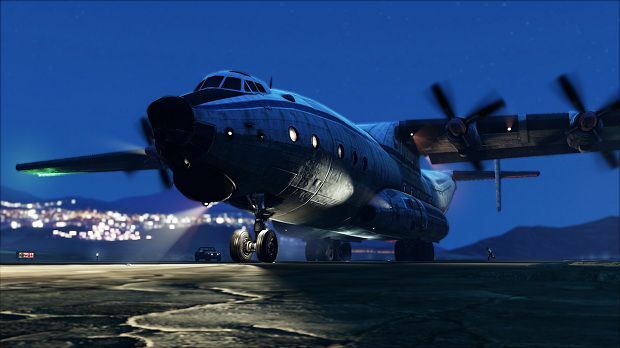 This time around, though, things feel much more personal ... even, somehow, as you are fighting thousands of feet in the air in the back of a burning cargo plane. 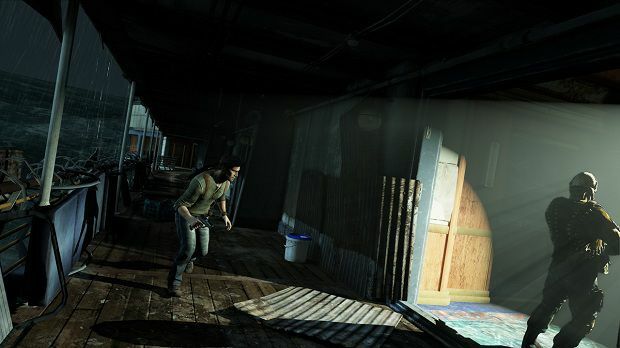 In the other Uncharted games, Nathan was driven by a clear and shallow focus to obtain mystical treasure. 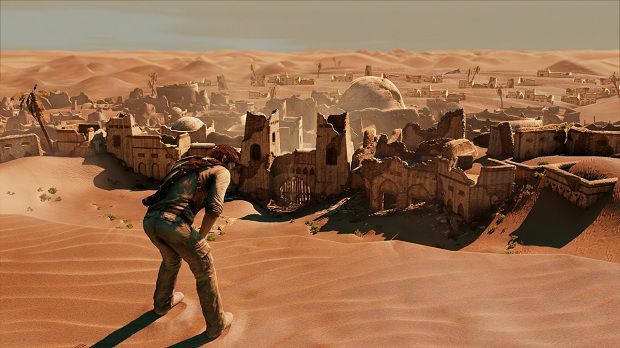 In Uncharted 3, however, this ultimate goal is less black-and-white. For the first time in the series, Nathan and the people around him begin to question why he is doing what he is doing. Are all the risks and sacrifices worth it? 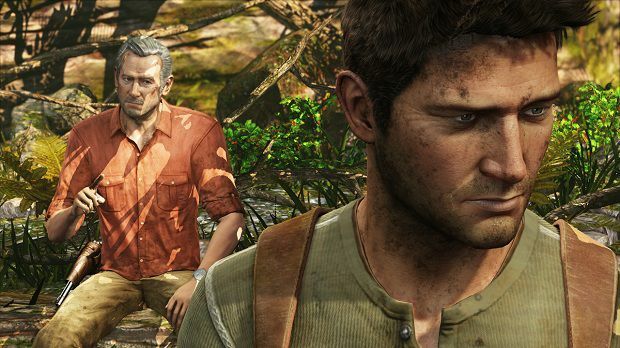 It is this morality and surprisingly dark undertone that drive Uncharted 3's story. And it is also this tone that sets it apart from the other games. While the two previous games had great characters, they felt more like extremely well-acted action/adventure archetypes. The rough-and-tumble partner. The sassy love interest. The intelligent, yet creepy villain. They all worked in the context of the games, but ultimately felt a little hollow. In Uncharted 3, all of the characters -- including most of your old favorites and some excellent new additions -- feel so much more complex. Not only is each character given some real, sometimes tragic emotions to deal with, but the relationships between these friends and enemies are portrayed with surprising depth. Speaking of enemies, Uncharted 3 has some really good ones. The main villain, Katherine Marlowe, is, hands down, the best in the series. (Her terrifying, mysterious cohort, Talbot, is not too shabby, either.) There is a conversation about halfway through the game between Nathan and Katherine that is easily the best written (and acted!) dialogue in all three Uncharted games. Fortunately, the game is full of moments like this: sharply written, superbly acted sequences that really expose each character and take the series to a whole new emotional level. But as great as the story and characters are in the game, let's be honest, the main focus of the Uncharted games is the action. With Uncharted 2, the bar was set ridiculously high for what can be done in a videogame. When I was going into Uncharted 3, my main concern was whether the game could raise the bar even higher. I can't believe I am typing this, but Uncharted 3 manages the impossible. It is an even bigger thrill ride than both the previous games combined. As much as I would love to spoil some of the game's best moments just so I can hold down the caps lock key and go crazy over how awesome they are, I would never do that, as experiencing certain things for the first time with no knowledge of what to expect is part of the fun. Just be prepared. As you play through the game's generous, perfectly constructed single-player campaign, you are going to be blown away. Like, seriously blown away. One sequence in particular is so impressive -- think The Poseidon Adventure meets Die Hard -- that it ranks as one of my favorite videogame moments of all time. And just when you think the game can't top itself, it does something even more out-of-control that will blow your mind and drop your jaw all over again. If anything, this review should be a testament to the incredible design team at Naughty Dog. Those men and women are some of the most talented people to ever grace the industry. The things that are done in Uncharted 3 are beyond incredible. As you jump from one stunning location to the next, Nathan and his allies are presented with a wide variety of different tasks and challenges that never once feels stale. It is this variety and attention to detail that impressed me the most. At one point you will be jumping over the rooftops of a bustling city; the next, you will be exploring the dark woods of France. After exploring the puzzle-filled dungeons of a Syrian castle, you will then be navigating a gorgeous ship graveyard off the coast of Yemen. And just wait until you start Chapter 2! Talk about an unexpected and gasp-inducing surprise! And it's not just the locations and environments that are constantly changing. The things that happen in those locations are completely unique as well. What would you say if I told you there is a drug hallucination sequence in the game? Or a sequence that tests the limit of what it feels like to be claustrophobic? Or a set of brilliant puzzles that feels inspired by The Goonies? Or a few emotional scenes that will genuinely get you choked up? ALL OF THIS STUFF IS IN UNCHARTED 3! And it is all glorious. The game just keeps getting better and better and better, until you realize how sad you are that it is almost over. I truly did not want the game to end. 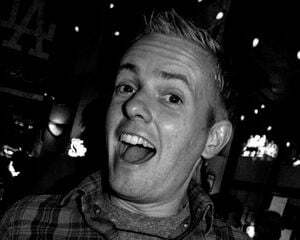 As for the technical details, it would be easy to say that Uncharted 3 is one of, if not the most technically impressive videogames ever created. Everything from the lighting, to the water and sand effects, to the character animation is perfect. One small detail finds Nathan touching walls and reacting to things in the environment as he passes by them. This is a nice, subtle addition, but comes into full, magnificent effect when Nathan takes part in a chase through the streets of a populated village. The way he interacts with everything as he runs past it is incredible and, again, will blow you away (as will the highly detailed environments). 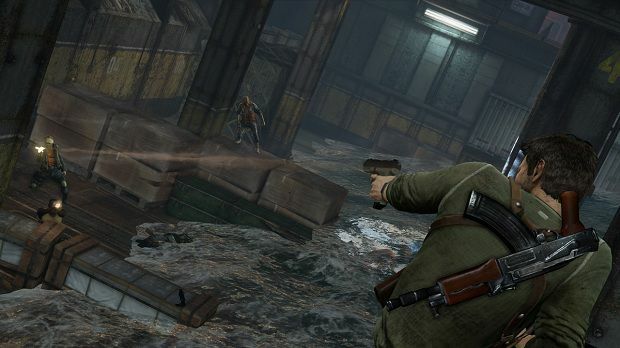 As far as the actual gameplay goes, you can expect more of the same shooting and clever platforming from Uncharted 2, with a much tighter feel and a very welcome focus on hand-to-hand combat. 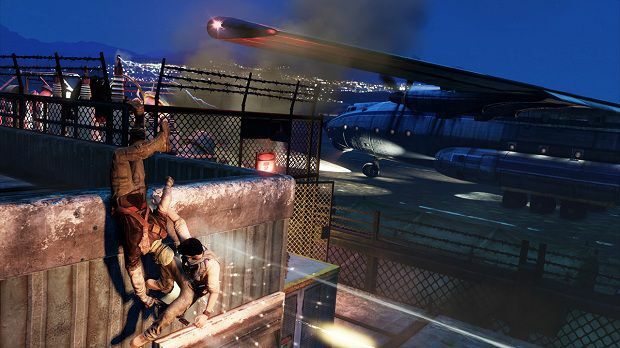 During the game's memorable opening bar brawl, the game teaches the player how to fight using Uncharted 3's revamped melee combat system. While the fighting mechanics are not as deep as, say, Batman: Arkham City, they're miles ahead of the previous Uncharted games. While fighting, Nathan can perform easy-to-use counter-attacks, throws, and environment-based special moves (such as grabbing a bottle from a nearby table) with free-flowing ease. Fighting in a giant group of enemies is not overwhelming, as the controls are tight, resulting in much more than just a panicked mashing of the attack button. Shooting is the most similar. While there are a few new guns and weapons to play around with, this particular aspect of the game feels virtually unchanged. But that is not a bad thing, as I don't mind the sometimes tough-to-connect gun controls. It feels more realistic and makes every bullet and shot count. Honestly, though, while there are many shootout sequences, each one is designed to incorporate so much more than just a random room full of boxes to hide behind while you shoot at enemies. 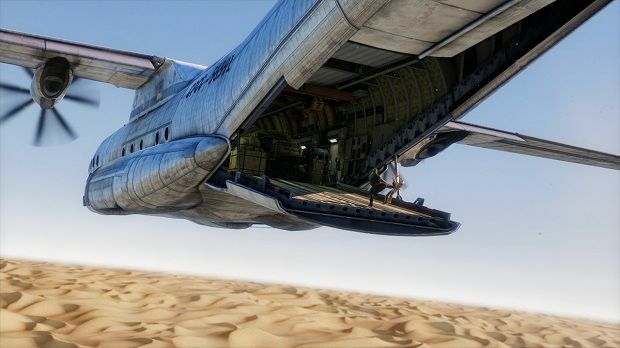 Whether a gun battle takes place inside a moving plane as the cover slides back and forth, or in a whirling sandstorm, the standard stay-in-cover-behind-a-crate-in-a-generic-room sequences of old are virtually non-existent. The music and sound effects are also worth mentioning. Both are stellar, with a slight nod going to the unbelievably great sound in the game. If you can, play the game with headphones. The details in the sound effects really should not be missed, and add so much to the game's already stunning environments. While I play the Uncharted games for the single-player, the multiplayer in Uncharted 3 has been improved enough to make it feel pretty worthwhile. I am not going to lie: I wasn't a huge fan of the multiplayer in Uncharted 2. Maybe it is because I am not a fan of online gaming in general, but I always felt that a game like Uncharted doesn't need a mulitplayer aspect, especially a sloppy one at that. And while I still feel that adding multiplayer in Uncharted feels a little forced, at least the multiplayer in Uncharted 3 is pretty fun. 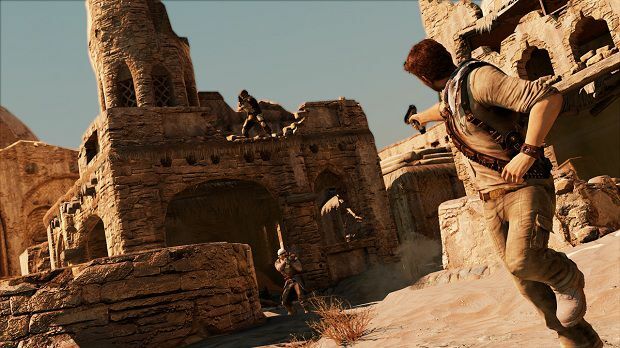 Like with Uncharted 2, Uncharted 3 features the traditional deathmatch, capture-the-flag, and co-op modes, with the addition of some pretty nice bonuses. Things called Boosters and Kickbacks, as well as customizable gun mods, add some much-needed variety and addictiveness to the proceedings. Despite my near-nausea level of praise, there were a couple of things in the game that I felt were not as perfect as the rest of the experience. For one, the game ends somewhat abruptly. The last few chapters feel slightly rushed, but I think that is more a personal preference of where I wanted the story to go, rather than a slight on the quality of the ever-twisting narrative. In addition, nothing feels shockingly new in the game. It really does feel like Uncharted 2: The Next Chapters, with some fun new features and tighter controls thrown in. For a fan like me, this is all I could ask for, but for anyone on the fence about the game, or for someone who didn't like the other Uncharted games very much, there most likely isn't enough new stuff to bring you in or change your mind about the series. For me, though, action videogames don't get any better than Uncharted 3. I can't even count on both hands its number of outstanding, absolutely jaw-dropping moments. Every painstaking detail combines to create a world full of wonderful characters and unequaled action. Once you play it, it is impossible to not get swept up into the adventure of it all. 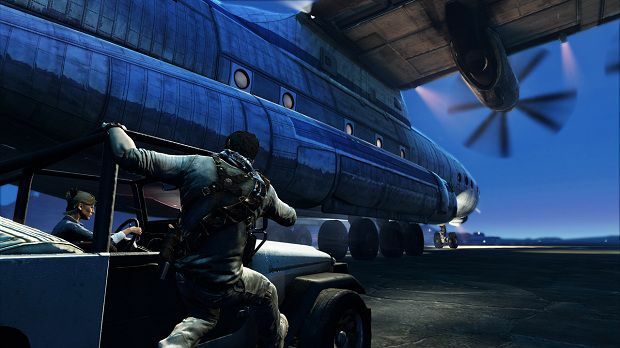 Uncharted 3 jumps from one extraordinary set piece to the next, pushing the way a videogame narrative can be presented. Equal parts exhilarating and emotional, I can't say I have ever played a more perfectly paced game. When all is said and done, "perfect" really is the best word to describe it. Uncharted 3 is one of the best PlayStation 3 games to date ... and one helluva great ride.